In Agriculture, a Terrace (or Lynch in Old English) is designed to slow or prevent the rapid run-off of irrigation water or to prevent soil erosion and make sloped land convenient for agriculture. Often such land is formed into multiple terraces, giving a stepped appearance. (from Wikepedia).. 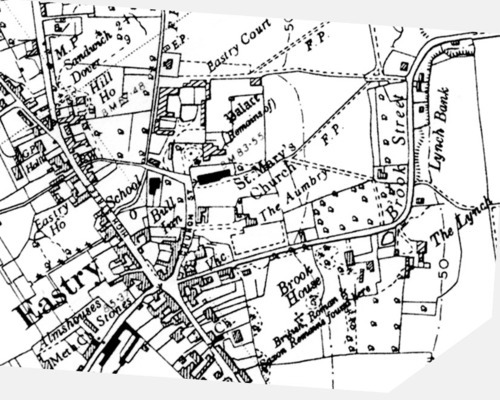 The area known as “The Lynch” in Eastry was agricultural land, which was cultivated in the above way and at least two different levels of land are still present, although the upper level has been changed by the addition of soil during the building of the A256 Eastry Bypass completed in 1991. The land belonging to this property is but small in extent, consisting only of some 14 acres. The estate formerly belonged to Roger Whitehead, from whom it passed to Morgan Lodge, Gent., who, in A.D. 1695, demised it to Richard Knight. 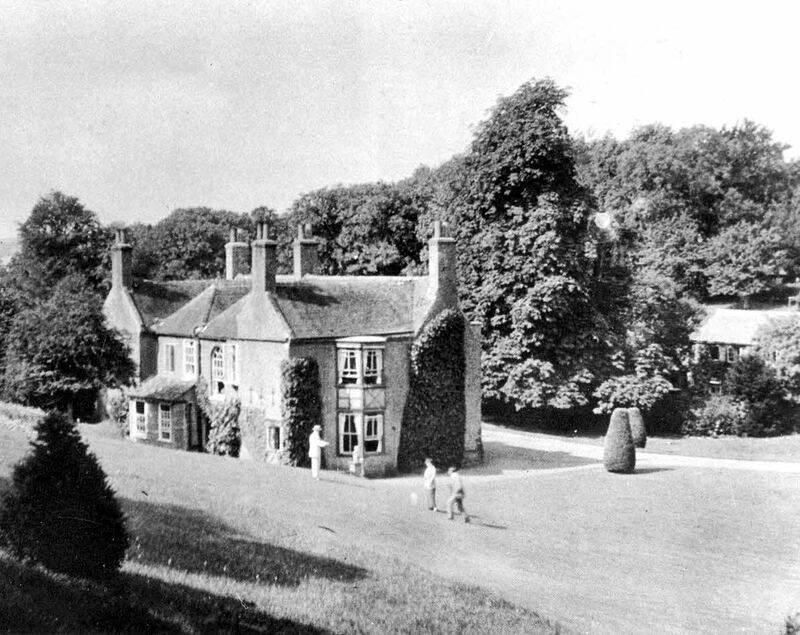 In A.D. 1716 Knight sold the property to Thomas Fuller, gent., who built the present house and resided there himself. On his death it came into the possession of his daughter Mary, a single lady, who, dying in A.D. 1783, bequeathed it by will to her nephews Thomas and Edward Rammell. 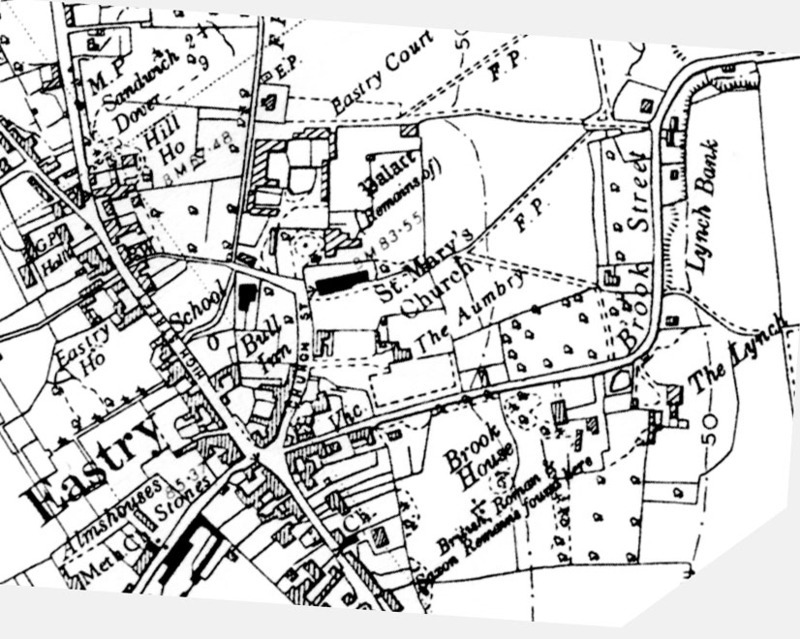 When Edward Rammell died in A.D. 1785, his brother Thomas became the sole possessor. He enlarged the house, and resided there for some years. Upon his death the property came to his sister Elizabeth Rammell, the founder of the Charity of that name still existing in the parish. She was an intelligent, but somewhat eccentric person. Situated in a truly rural spot of great natural beauty where people could walk and picnic in lovely surroundings. In recent years the hillside known as lynch Bank has become untidy and overgrown. The Lynch was described in the Kentish Gazette in April 1832 as a convenient family house, with coach-house stable, and other outbuildings, gardens and 14 acres of orchard, meadow and pastureland. Later burnt down and rebuilt in 1950s by Mr. Stanford Tuck. Wing Commander Robert Stanford Tuck DSO, DFC (2 bars) was a local fighter Ace, nicknamed “Lucky Tuck” and was one of this country’s war heroes. He was accredited with shooting down 29 enemy aircraft. Tuck survived two crash landings, bailed out 4 times, and captured in France in 1942. Following this he was imprisoned in Stalag Luft III for three years, but later escaped through the Russian front. After retiring from the RAF in 1949 he joined English Electric’s P1 project, which became RAF's highly successful Lightning interceptor aircraft. 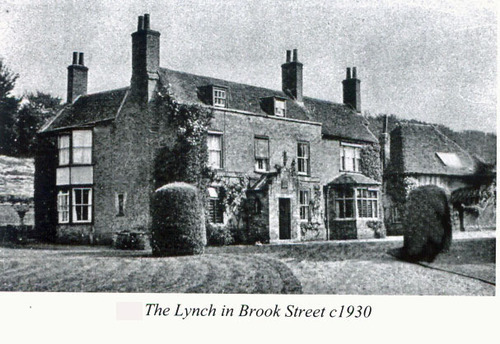 In 1953 he and his wife Joyce, who he married in 1945, moved to The Lynch at Eastry, with his two sons, Michael and Simon. He developed a Mushroom Farm in collaboration with Mr. Douglas Miller and successfully farmed mushrooms for over 20 years. He retired to Sandwich Bay in the 1970s where he was a member of St. George's Golf Club. There is a plaque in St Clement’s Church , Sandwich which reads: "In memory of Wing Commander Roland Robert Stanford-Tuck DSO DFC** DFC(USA) AFC RAF. 1916-1987. A courageous officer who defended this nation in the skies above Kent during the Battle of Britain in 1940 and whose remains are interred with those of his beloved wife Joyce in the Churchyard".